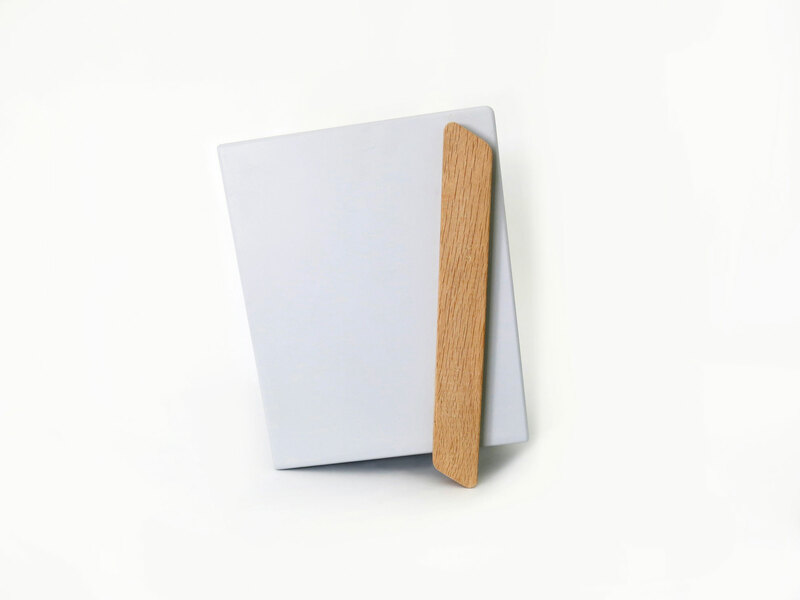 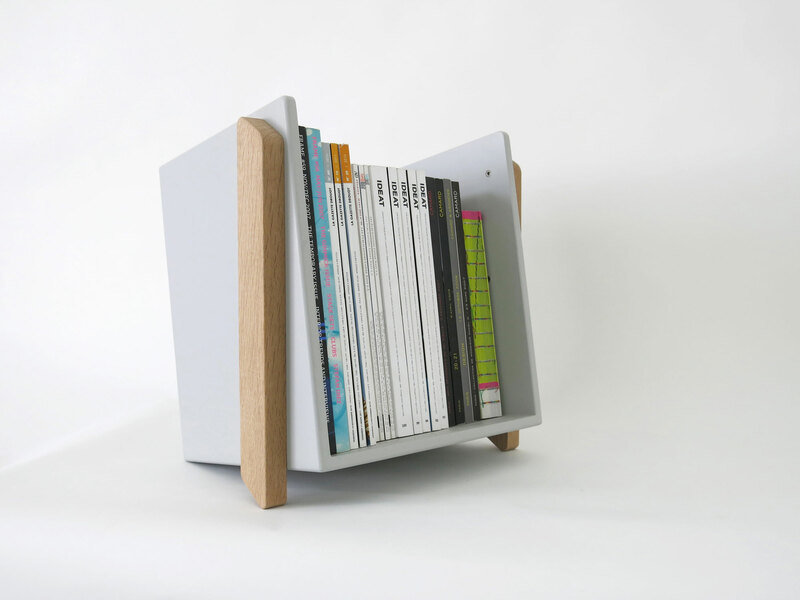 2013 - Zin is a stackable magazine holder. 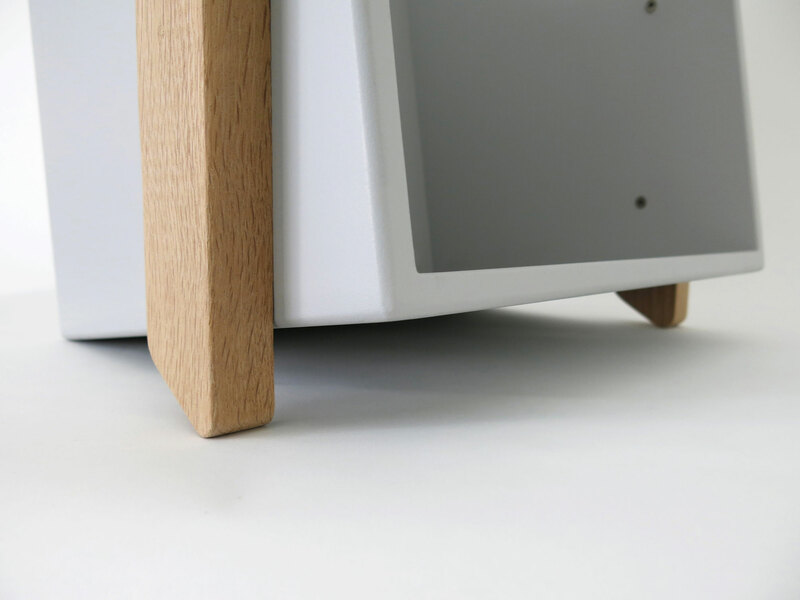 The box is made out of a 12 mm thick panel which stands on two solid oak legs. 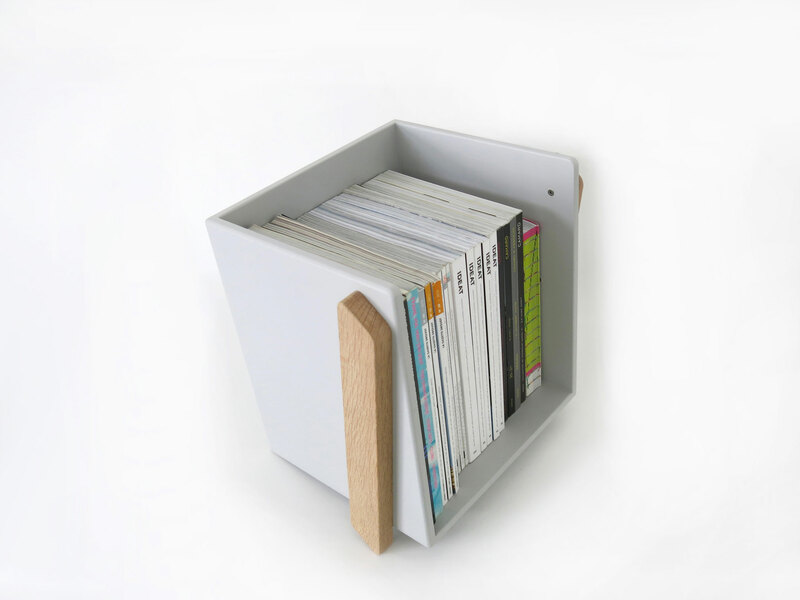 Zin is ideal for magazines, vinlys and comic books thanks to its format and strong structure. 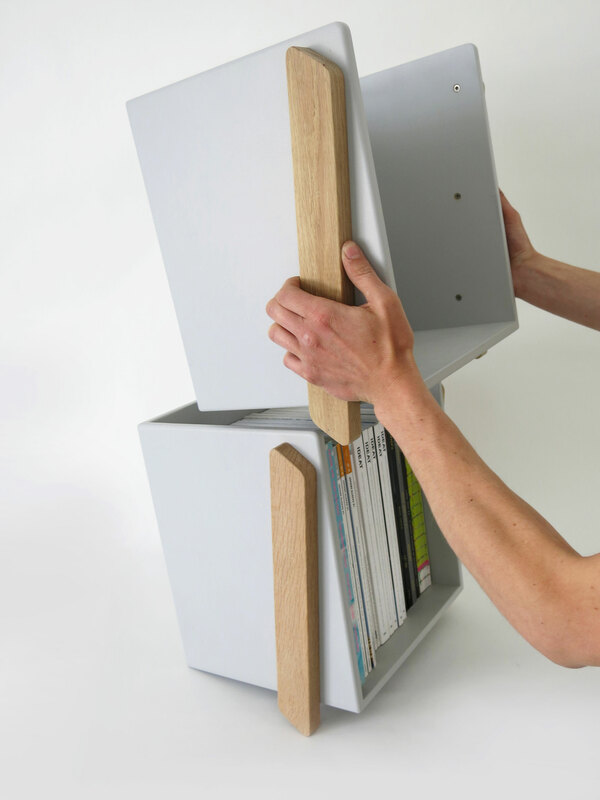 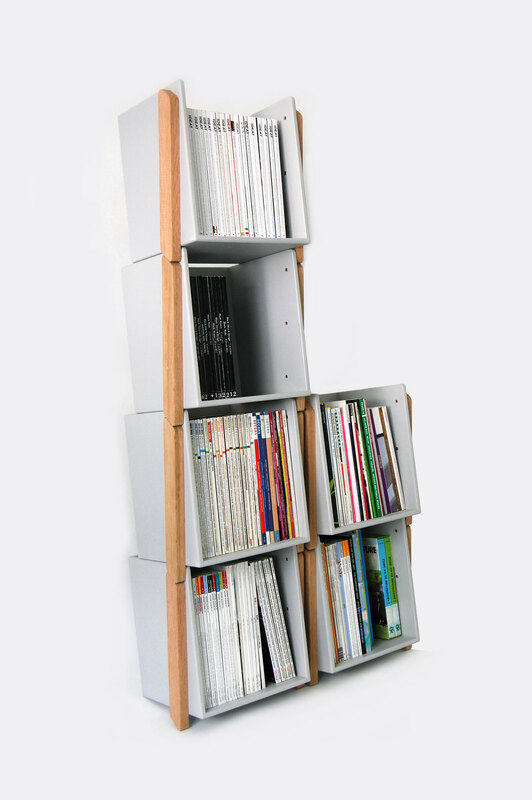 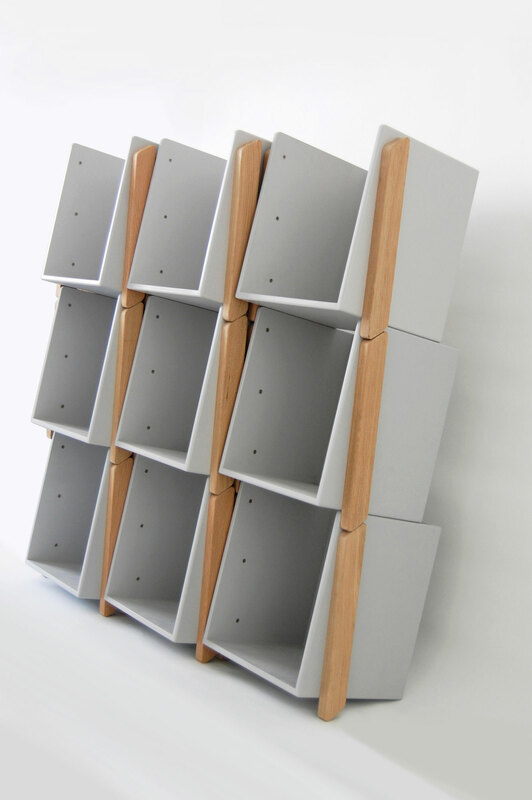 Next to being a cute storage on its own, it is also designed to compose a modular bookshelf. 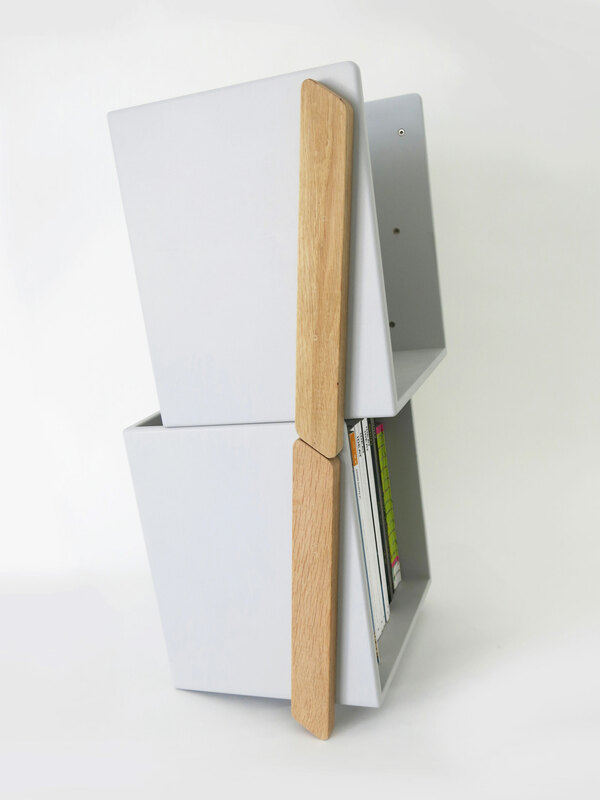 The oblique position of the box lightens its appearance while making the contents easily reachable.